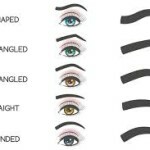 Have you ever noticed the amount of products in the market for brows? I mean really?? There are gels, powders, taming creams, serums to grow brows, templates to shape the brows and the list goes on. Whatever happened to the plain old set of tweezers and vaseline? I still remember the time when in my teen years I took matters into my hands and hacked at my brows of which was uneven and looked like thin strips of hair. LOL I must admit my Mom was unpleased. But as I got older I realised and learnt how to shape my brows. The golden rue is TWEEZE IN THE DIRECTION OF THE HAIR right. What I also learnt that stray hairs can be scissored off providing you do not go too near the skin otherwise you would end up looking like Mr Spock. But jokes aside, brows are the windows of your face and well-groomed brows gives you a whole new fresh look. Look, I am not fussy, if I have the money I would buy a brow powder in a shade of my hair obviously and apply to the patches for a fuller look. Gels are great for summer as they keep stray hairs at bay and because of it’s strong hold, it lasts longer on the hotter days. Lining the brow, well you really have to becareful and don’t end up with a mismatched pair. So, this is where the brow templates come in. 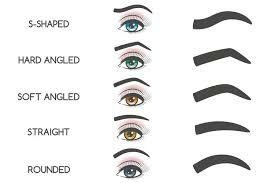 Hold the shape you want over your brow and line accordingly. Then fill in the gaps with your brow powder and vola you have the perfect brows. ps. personally I would just use ordinary vaseline to tame my brows. Well everything has their own techniques.